Whatever the state of the UK property market in general, London is always different. The UK is, in general, suffering indifferent performance. London is not faring a lot better, but it is not quite as subdued. The Prime London Residential Market 2013 is expected to be a lot stronger on the back of improved performance at the end of 2012. This followed a year of fairly average performance up to the final quarter. The broader statistics mask variations between submarkets, as always. The submarkets with the biggest increase in price in Q4 were Knightsbridge & Belgravia, where prices rose by 5% and Hyde Park which recorded an increase of 2.8%. 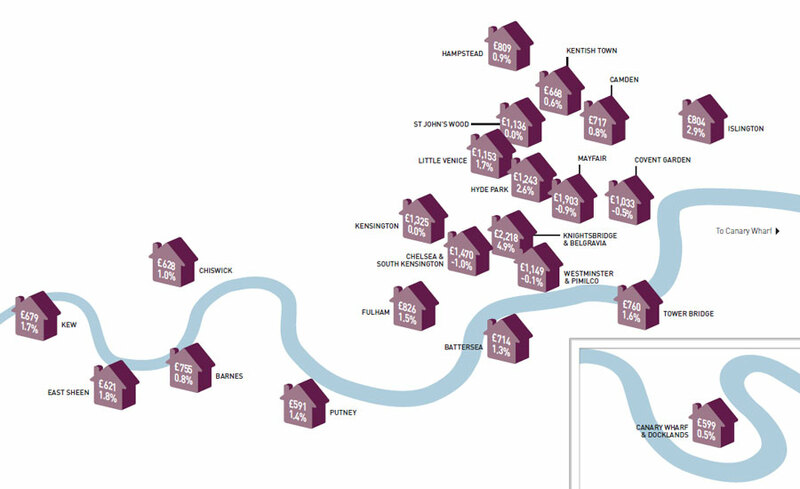 At the other end of the scale, property values fell by an average of 1.1% in Chelsea & South Kensington.